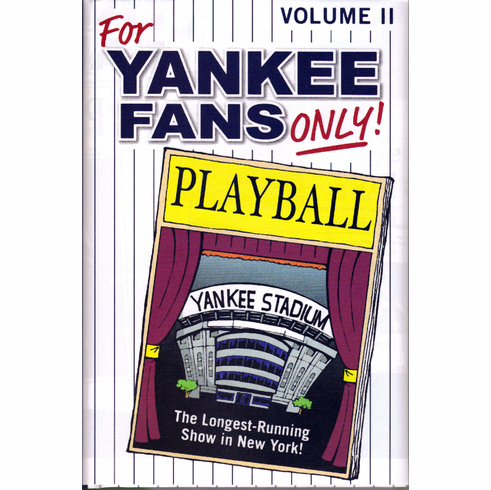 For Yankee Fans Only Volume II is Rich Wolfe's best ever! Including more wonderful stories celebrating the incredible Yankee fans. Also includes a very funny free 2' x 3' Yankee poster ($10 value) which unfolds on the other side of the dust jacket. This brand new edition includes images of every Yankees Sports Illustrated cover - all 64 of them! If you're a New Yorker, you'll buy it and you'll like it! Hardcover, 9.25" x 6.25", 280 pages.